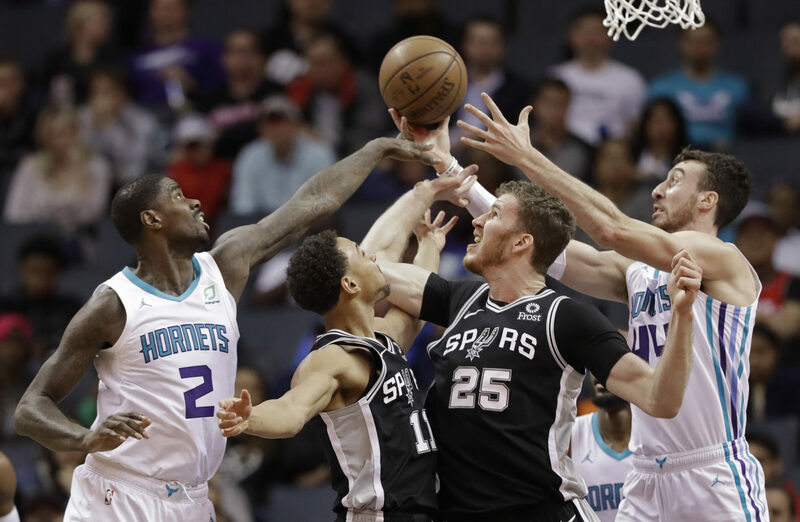 CHARLOTTE, N.C. — Kemba Walker had 11 of his 38 points in overtime, and the Charlotte Hornets beat the San Antonio Spurs 125-116 Tuesday night to stretch their season-long winning streak to four games. Hornets: Jeremy Lamb, who hit a game-winning, half-court shot to beat Toronto on Sunday night, left the game with a sprained right ankle in the third quarter and did not return. … Tony Parker was active for the game, he was not on the Hornets bench and did not play against his former team. Team officials said Parker was in the arena, but did not specify why he wasn’t on the bench. … Nic Batum (illness) did not play.